Home > News and Opinions > WATCH: Is indigo the new green? WATCH: Is indigo the new green? There are 1.6 billion people living in the dry areas of the world and land degradation affects the life and livelihood of each and every one of them. Land degradation significantly increases vulnerability in drylands by perpetuating food insecurity, poverty, and exploitation of natural resources. Among the land degradation processes, salinization due to both natural and human factors is a major concern. Excess soil salinity hampers agricultural production and crop yields, directly affecting rural communities both socially and economically. The adoption of new salt-resistant cultures can reverse land degradation and land abandonment in degraded and saline areas, as well as help recover soil fertility. The Central Asian Countries Initiative for Land Management Phase II (CACILM II) Project, supported by IFAD, is currently promoting the cultivation of indigo plant as a way to recover degraded lands and improve the livelihoods of rural communities in the region. The indigo plant is typically cultivated in tropical and subtropical areas. However, in 2008 a team of scientists in Uzbekistan produced a new, salt-resistant variety of indigo plant called “Feruz-1”. This variety is able to successfully grow in degraded and saline lands of the Aral Sea region. It can be introduced as a main or secondary form of cultivation, and is second only to wheat in its ability to improve soil properties. The plant is related to the leguminous family, making it able to fix atmospheric nitrogen even in heavily salted soils. By increasing nitrogen levels in soils, “Feruz-1” provides a low‐cost method to conserve and restore soil fertility, improving subsequent crop yields. In order to maximize soil productivity and fertility, the plant can be adopted as green manure, increasing soil organic matter and thus soil quality. Cultivation of “Feruz-1” is therefore recommended by CACILM II as an agricultural practice that can improve soil functions while reducing the use of agro-chemicals that further deteriorate environments. Besides the provision of environmental benefits, the cultivation of indigo plant brings economic profits that can significantly improve the livelihoods of rural communities. Indigo plant is a high-value commodity crop widely used to extract the natural pigment “blue indigo”. In Europe, the demand for natural dye indigo is increasing due to its healthy advantages over synthetic pigment. The price of the pigment fluctuates between 80 euro/kg to 240 euro/kg. One hectare of degraded land can produce 60-100 kg of natural indigo dye annually. However, in fertile and fully-recovered soils, the production of indigo pigment can increase to 100-130 kg per hectare. Thanks to its various properties, the extracted indigo dye is not only applied for textile purposes, but can also be sold to pharmaceutical, perfumery-cosmetic, architectural-decorative and other fields of industry. Extracting the pigment requires simple methods studied and tested by scientists to efficiently respond to the needs and capacity of local communities. Indigo may be the green solution to maximize the profits of farmers and rehabilitate degraded lands in Central Asia. These demonstration sites are used to channel the selected sustainable land management technology packages to farmer communities. The CACILM II project is funded by IFAD and led by ICARDA under the framework of the CGIAR Research Program on Dryland Systems. Ergashev, A., Eshchanov, R., Yakubov, G., Turdieva, N., Turaeva, N., & Urinova, H. (2014). 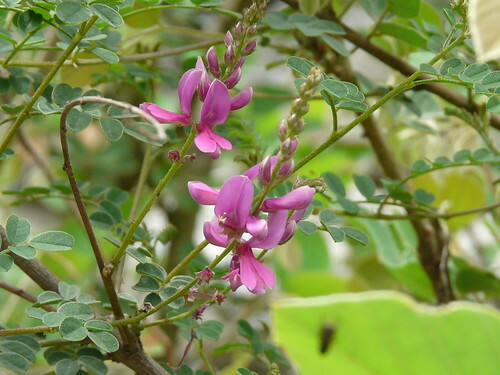 Abiotechnology of Indigofera tinctoria L. on the Saline Land of Aral Sea Basin and Producing of the Natural Plant Indigo Pigment for the Industry. Journal of Chemistry and Chemical Engineering, 8(7).